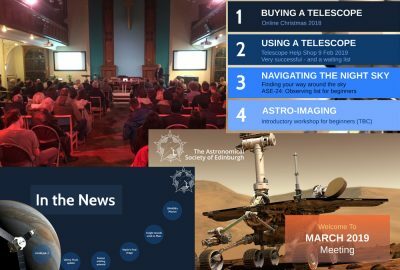 Over 100 people again and a very interesting talk from Dr Alexander Mackinnon on CTR Wilson and cosmic rays, describing how this branch of high-energy astrophysics can be traced back to the Scottish highlands. 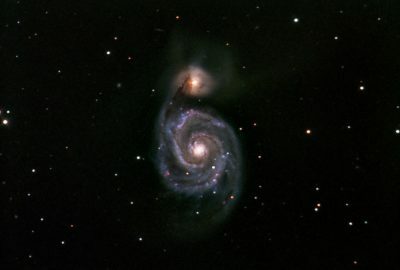 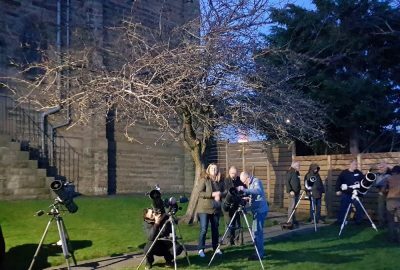 Galaxy clusters of interest in April’s southern evening sky- the latest Scotland Sky Diary for April by Alan Pickup. 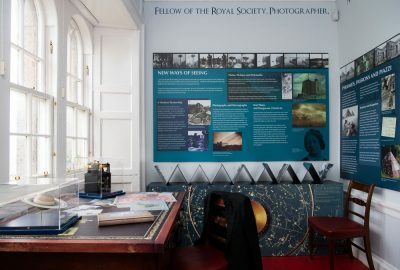 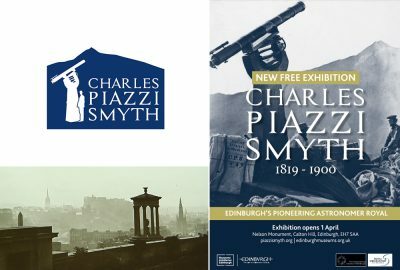 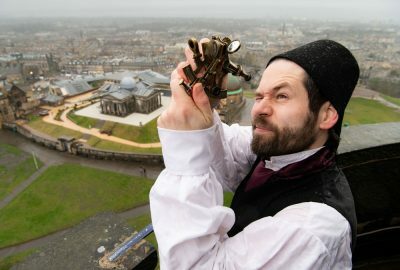 An exhibition to celebrate the 200th anniversary of Edinburgh astronomer Charles Piazzi Smyth will open in the Nelson Monument on Calton Hill on 1st April 2019. 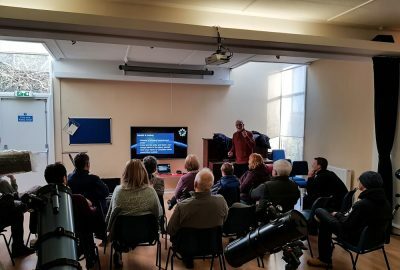 Again this month we had over 100 people and a great talk by Professor Alex Murphy from the University of Edinburgh on "Dark Matter: what is it, and how are we going to find it?" 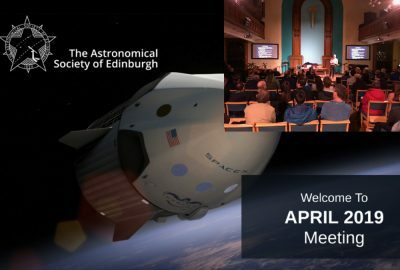 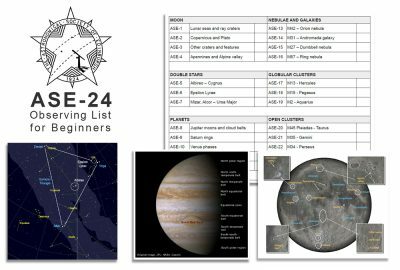 Watch earth satellites transit our vernal equinox sky - the latest Scotland Sky Diary for March by Alan Pickup. 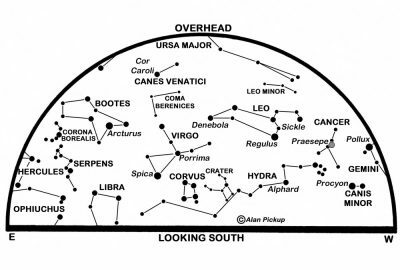 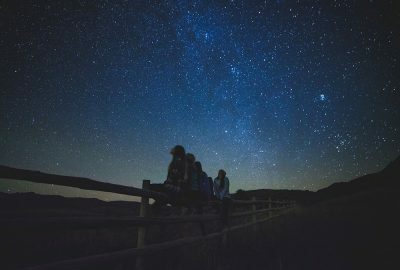 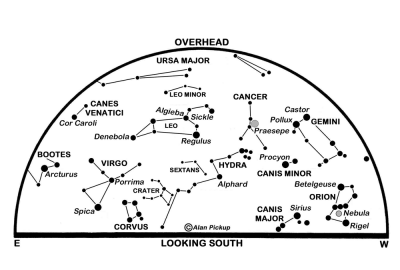 As the familiar Winter constellations of Orion, Taurus and Gemini head westwards in the evening, the galaxy-rich constellations of Leo, Canes Venatici and Ursa Major move in. 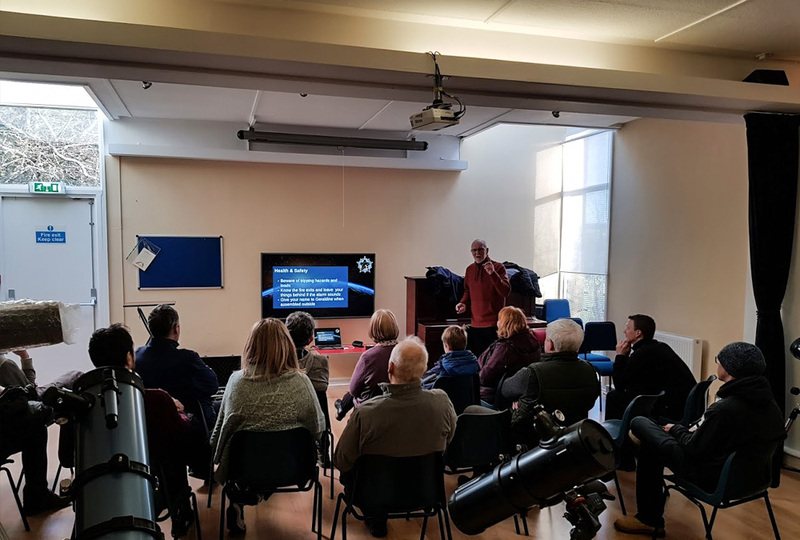 We had a very successful Telescope Help Shop yesterday with 15 people coming along to learn how to get the best out of their telescopes.